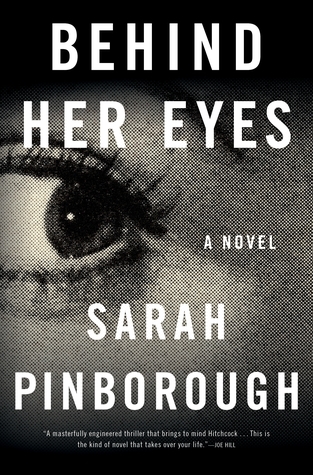 I picked up Behind Her Eyes because of my quest to expand my reading horizons. I don’t read a lot of adult fiction, I read mostly Young Adult, but this book sounded really exciting and I’m always down for a good thriller. I did find Behind Her Eyes to be fairly addicting, which I wasn’t expecting. I read it in just a couple of days and I even caught myself thinking about it when I wasn’t reading it. I wasn’t very invested in it though. The characters are good but I wasn’t emotionally invested in them. I feel like it could have been written a little bit better in some ways. I didn’t really feel the suspense for most of the book. The reader finds out a lot more about David and Adele than Louise and I felt like I was always waiting for Louise to catch up. Speaking of Louise, I found her really annoying and her behavior was odd and she made some really stupid decisions. She was more of a plot device than a useful character. Overall, this was a decent read. I liked how addicting it was in the moment and I did like it for the most part. The ending was pretty wild but I could easily pick it apart if I spent more thinking about it. If you’re not a critical reader, I think this book will be a lot better to you. If you are a critical, like me, I’m not sure this book will live up to the hype.